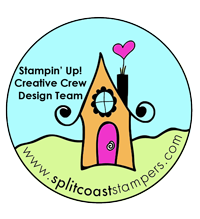 So, I wasn't going to play along with Camp Create this time, as my card-making time has been curtailed of late. But today I decided to try and complete all the challenges, so here's my first card of two I made tonight. Apologies in advance for the number of posts (hopefully) coming your way over the next 2 days. I used the Split Chevron Cover Up and the Big Thanks dies to make this card. I also used black, white, After Midnight, Green Apple and Audrey Blue cardstocks. I started by die-cutting the chevron die in all colors except white. I then adhered the black frame onto some white card covered with Stick-It adhesive sheet. Then I randomly filled in all the spaces with the navy, blue and green colors. Once that was finished, I die-cut the Thanks from the panel and then also in white and inlaid the white Thanks into the chevron panel. 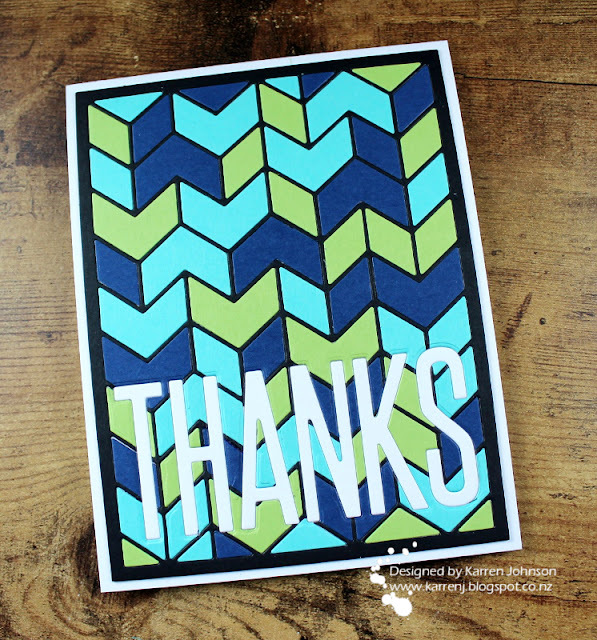 What's really cool is that I now have a gorgeous Thanks left over from the chevron panel that I can use on another card.. Your graphic card looks fabulous! Also love the color combo you chose! WOW! This is fabulous, Karren! Beautiful crisp, clean inlaid die cutting! 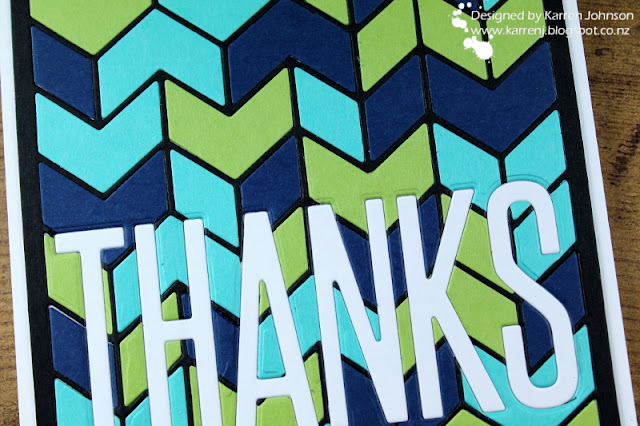 A really cool pattern and your white die cut sentiment is just perfect! What a great card!! LOVE the colors you chose and the graphic look. GREAT take on that challenge! !